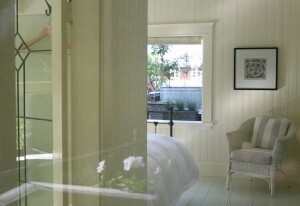 Freshness, light and elegance created by your hosts, the artists Anna Gustafson and Paul Burke. You will feel instantly at home. Just minutes away from kayaking and hiking on invigorating forest and ocean shoreline trails – escape into nature. 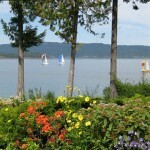 Relax here at Bloom or explore the island, your spirit will be nurtured and refreshed. 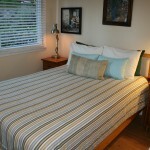 Located above beautiful Blue Horse Gallery, this private self-contained suite can accommodate two people. 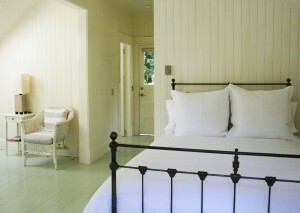 There is a queen-sized bed, a dressing room and a skylit bathroom. You can make tea and coffee at anytime. We provide yogurt and delicious home-made granola and bread. A fresh-baked treat is brought to you in the first morning, and of course, everything is as organic and locally grown as possible…. Located in the North part of the island.